Autodesk, Inc., a world leader in 3D design, engineering and entertainment software, and Pitney Bowes Software, Inc., a global leader in customer data, location intelligence, analytics and communication software and services, today announced they have entered into a strategic alliance agreement. 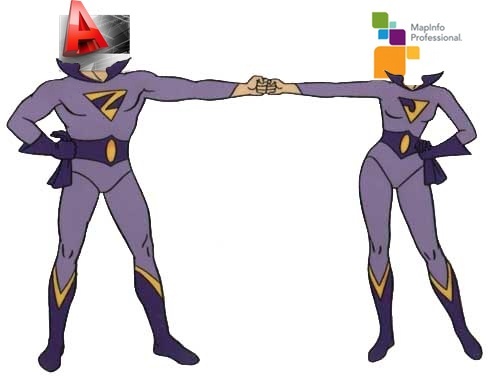 The new agreement will serve as a framework for both companies to provide resources, services and solutions to help infrastructure owners and architecture, engineering and construction (AEC) organizations make more informed decisions and drive greater efficiencies across the plan, design, build, manage lifecycle of infrastructure. As with others, I’m not sure what this means for the geospatial space moving forward. As Joe Francica points out, unless both companies have “skin in the game”, there is no real incentive to work together. What is clear though is both companies are going on the offensive which might make 2012 very interesting. Hopefully both companies will spell out in greater detail what this means in the next month so we can all figure out where we might want to align our efforts moving forward.